Unless you’ve been in hiding, you have more than likely heard quite a bit about raw milk. Most people have very strong opinions on the subject, too. 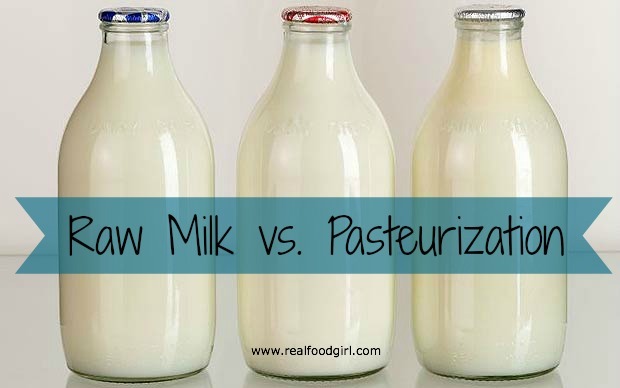 In this article I hope to show you the benefits of raw milk and what pasteurization does to milk. I’ll touch on why pasteurization even came into the picture and how the dairy industry has used it for financial gain at the expense of the health and well being of its consumers. I spent a lot of time researching the information for this post. To the point where I’d read and digested so much information that I had to take a 3 day break from my computer once I was finished because this was such a mentally draining project. It was difficult for me to determine which points, facts, figures, and information I should share because I read a toosh-load of data on milk, pasteurization and raw milk. Raw milk is a very hotly debated topic and if you are someone who believes it’s the most dangerous thing for a person to consume, than this post isn’t for you. If you’re someone who is on the fence or just wants to learn something new today, you might find some valuable information below to help you make an educated decision on whether or not raw dairy is for you and your family. I can’t make that decision for you, but I can share with you the information that I found while researching this topic. Our family consumes raw milk, and other raw dairy, such as raw-milk cheeses and raw cream. We can’t always afford raw milk, but when we have it in the house, my body craves it. When we just have basic non-homogenized organic milk in the house, I rarely drink it. It does nothing for me, and I find that I am turned off by the thought of it. Even more so since absorbing an insane amount of information on this subject. To put it simply, raw milk is the milk that comes from pastured cows or goats, and has not been homogenized, pasteurized or processed in any way. Raw milk also contains all the fat as many important anti-microbial and health-supporting components are in the fat. Raw milk is not altered with chemicals, additives or light. It has also never been heated past the animal’s highest body temperature, which is typically between 100-105 degrees F. That’s it, pretty basic and straightforward. OK, But is it Safe? Raw milk contains enzymes and promotes an environment, which encourages beneficial bacteria that contribute to easy digestion and ensure that all the vitamins and minerals are absorbed. It’s in its natural, God-intended state. The percentage of illness contracted from all dairy whether raw or pasteurized compared to other foods is about 1% according to www.realmilk.com 1%!! And do you know how many people think raw dairy is dangerous? Think about this. Dangerous? Really? What is dangerous about a food source that has such a powerful anti-microbial system that it can kill pathogens it comes in contact with? Can you imagine the benefit that would have on your digestive system? No wonder we have so much illness. We’ve heated our foods to the point that we’re killing the beneficial properties so now we have to have the pharmaceutical industry create vaccines and medications to help restore our health and do what our immune systems would do if we’d feed it the food we were designed to consume. It Should Be Pasteurized, Right? In The History of Raw Milk Nutritional Scientist Aajonus Vonderplanitz shares how French Chemist Louis Pasteur developed a way to heat wine, which subsequently came from mold-ridden grapes. In an effort to save vineyards quite a bit of money from the moldy crops, Pasteur’s heating process stopped the fermentation and growth of the molds that was plaguing the region. EDITED TO ADD: The link at the beginning of this sentence led to a document on Google Docs that has since been removed. I’m not sure why. I did some more digging around and was able to find two other sources that mention a little more about pasteurization- but nothing even close to what I originally sourced regarding Louis Pasteur. Read this and this instead. Pasteur wasn’t a doctor, but he was given an honorary doctorate to make popular the false disease-opposing theory that insists that disease is the result of bacteria. While on his death bed, Pasteur later confessed that his and the allopathic bacteria theory was all wrong and that disease was the result of a toxic environment—bacteria were simply the symptom of degenerative tissue and a healthful response of the body to remove degenerative tissue. Fast forward about 40 years and a small town dairy official in Minnesota, George Pushing, came up with a plan to buy the milk that dairy farmers couldn’t use themselves, because it was about to sour. You see, raw milk, unlike pasteurized milk never putrefies (decays or rots) it only sours. But sour milk doesn’t sell because when mixed with another food, it causes everything to taste sour. Pushing believe that heating the milk to 155 degrees would kill the bacteria that cause milk to sour so that even reject milk would keep for 2 weeks. Can you see the dollar signs in the eyes of everyone that heard about this? The more commonly known forms of processing milk are pasteurization, irradiation and boiling. In pasteurization they heat the milk to at least 130 degrees F for a minimum of 45 seconds, or to 160 degrees F for a minimum of 15 seconds. Boiling means they cook the milk until it begins to vaporize and keep it at that state for at least 5 seconds. Lastly, Irradiation exposes milk to destructive light such as high-intensity ultraviolet or radioactive contamination. This process is also known as cold-pasteurization. Further processing occurs when they homogenize milk. In this process they push the milk fat (cream) at a very high pressure through a fine-meshed screen that causes the fat molecules to explode, turn rancid and spoil. It’s used widely today to keep the cream from separating from the milk so that it will not sour and the milk looks even. Regular pasteurized/processed milk at the grocery store is processed so highly, to the extent that it turns blue. They have to add large amounts of mined calcium carbonate (which is a rock, folks) to make it white, and then they add irradiated hydrogenated vegetable oil as Vitamin D. Yes, that’s right, an oil with the same molecular structure as a plastic is allowed by the FDA to be called Vitamin D, yet it isn’t. If milk-producing cows are healthy, pastured and are checked regularly for TB and undulant fever and are checked for infections, and their milk is produced under sanitary and healthy conditions there is no need for pasteurization. We’ve been fed a lie in order to keep lining the pockets of government officials, numerous government run agencies, the FDA, and Big-Dairy. They know if we learned the truth and started demanding raw milk that it would massive profit and job loss. Look at all the greedy people that would be out all that money. So they keep spinning the lie that even Louis Pasteur himself debunked back in 1895 so that they can keep swimming in cash. So no. It doesn’t need to be pasteurized if the farmer is properly caring for his animals and their health and well-being is of utmost importance. The only case for pasteurization occurs if the animals are sick and diseased. If so much of our food supply is being pasteurized, then it begs the question, how much of our food sources are sick and diseased and if they are sick and diseased, how come? I thought for sure my first experience with raw milk was going to have me producing a sour look on my face. I was pleasantly surprised that there wasn’t much difference in taste or mouth feel at all. Maybe a bit creamier, but it didn’t have a grassy taste to it that I’d been told raw milk has. I believe it depends on the cows and the grass on which they feed. For me, it tasted good, and like I said, even though my mouth can’t tell a huge difference, my body does and I crave it. There are some amazing resources online where you can get more information than you can possibly absorb on this subject. Real Milk is a great place to start. If you’re into nutritional studies, The Safety of Raw vs. Pasteurized Milk is a good read, albeit it lengthy. Raw USA and Local Harvest are good databases at locating farmers that sell raw dairy and also learning more about raw dairy. Some of my favorite bloggers have written good pieces on raw milk if you’d like additional perspectives on the subject. 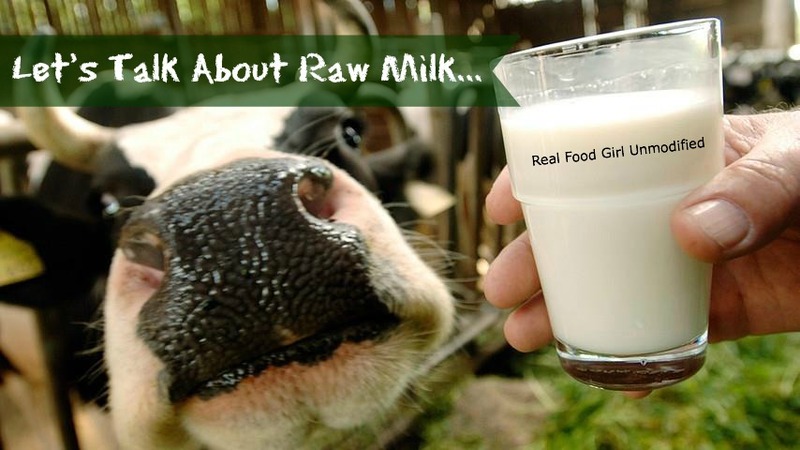 Do you drink raw milk? How much do you pay for a gallon? Is it legal in your state? If not, do you have access to it and purchase it despite the local laws? I would like to hear from you. I do realize that the internet is kind enough to give you information that helps you prove your point. When it comes to raw milk however, I personally don’t buy into much of the information I read from the pro-pasteurization camp. It boils down to this (ha- get it? 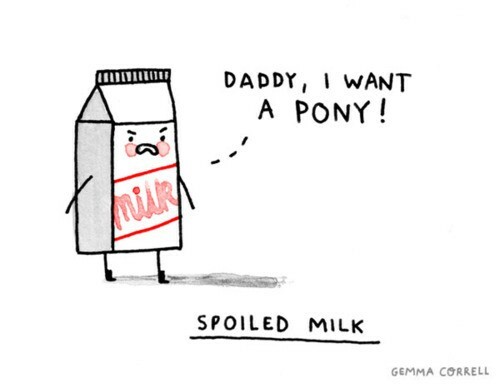 ); Raw milk may or may not be for you. Feel free to read all the sources I cite in this article, and look into the other articles I give links to. After that, feel free to do more research yourself to decide if raw milk is for you. For our family it is something we believe in and see the benefits of. If you decide it’s not for you, that’s okay. I just appreciate that you took the time to read everything I complied here. This article could have been much, much longer but hopefully I found a good mixture of information on the reasons why we consume raw milk and believe that it is safe to consume. Those that argue that raw milk can give you Salmonella, E. coli, and Listeria. Well, you have a higher chance of getting E.coli from improperly processed greens, such as spinach and lettuce greens, and you can get Listeria from improperly processed vanilla extract, salmonella can be contracted at a restaurant by a worker that hasn’t properly washed their hands. My point in all this is that food is a gamble period, but to villianize milk because it hasn’t been heated past the animals highest body temperature seems like lunacy to me. I subscribe to a website called Food Safety News that gives me updates to all sorts of food related news- specifically food borne illnesses, recalls, and the like. In the 3 years since I’ve gotten regular email updates there have only been a handful of stories about an issue with raw milk, but dozens upon dozens have been about E. coli, Salmonella and Listeria from melons, greens, tomatoes, improperly prepared, harvested and processed produce and meats and cheeses. Do a search for Raw Milk on their website and it’ll give you a list of articles, but read them and 90% of them aren’t even about raw milk at all. I’m not discounting that there are risks with eating raw foods, so don’t interpret my decision to consume raw foods as my snubbing my nose at the nay-sayers. 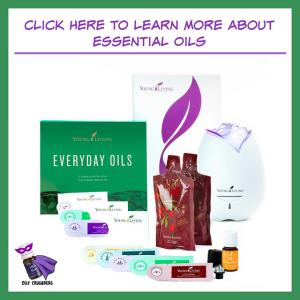 Please remember that children and the elderly have underdeveloped or weakened immune systems, so you will have to research thoroughly for yourself before you decide if that is something you want to share with your young children or elderly family members. I’d love to hear from those of you who do have young children who drink raw milk and what lead you to make that decision. Lastly, if you don’t agree with the consumption of raw milk, and have chosen to believe all the negative things you’ve read about it know that I totally respect that, so please be respectful if you decide to leave a comment below. If you aren’t, it will simply be deleted. I just recently started getting raw cows milk from a hears share program here in Indiana and I love it. The only person in the house not on board with this is my husband. So he gets his own half gallon of 2% store bought milk in the fridge. My girls who are 12 and 4 love the taste of the raw milk much more than that of the store bought. Thanks for writing this post, I think it may help others see the benefits of raw milk!